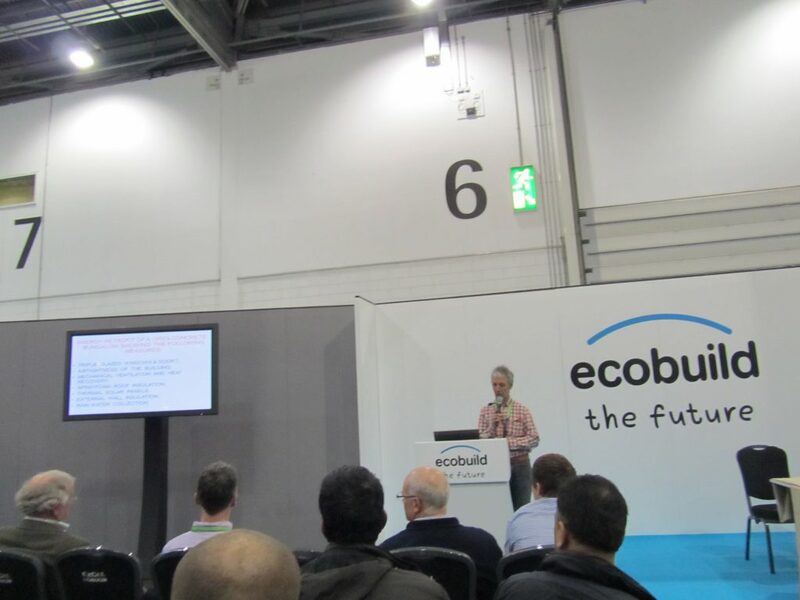 It’s the time of year for Ecobuild running at Excel in London (7-9.3.17), which reminds me of the presentation I gave 4 years ago about the complete Retrofit project at Hay Tor. 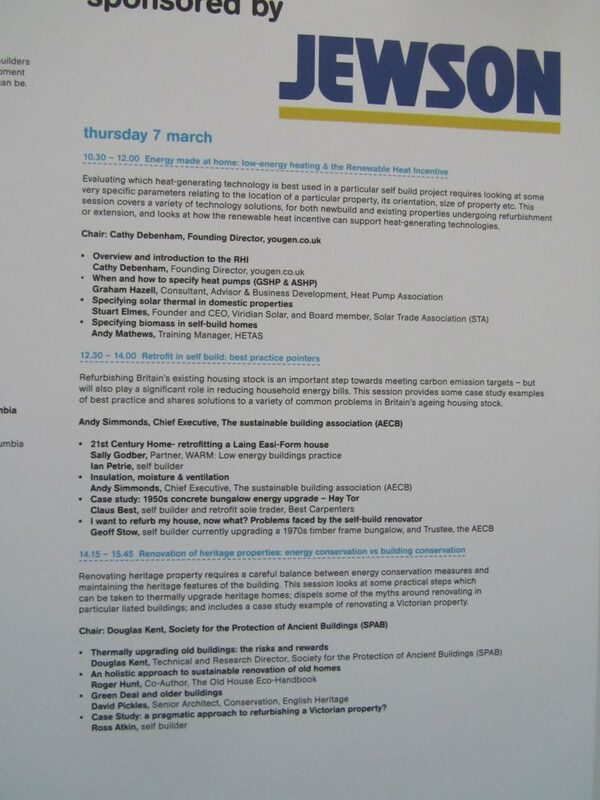 I was giving the presentation together with 3 colleagues of the sustainable building association (AECB) under the heading: Retrofit in self build – best practice pointers. We had a packed room for 4 interesting projects.